Don’t we all start the New Year with optimism? It is the time of the year the gyms fill up, only to dwindle back to normal traffic by late February. And while our thoughts today may go to parties, soon practical thoughts intrude. Like getting ready to do our taxes, paying off those Christmas bills and organizing ourselves a little bit better the coming year. I started using an app lately that helps me keep things straight. It is a journaling app. There are any number in the Google Play and Apple App stores. I have not looked at many. The one I’m using is not syncing right, so I’ll find another. Even so, I’ve been impressed with its usefulness. With it I can jot a quick note. If I choose, it also records my location and the current weather. Soon after I started using it, I had my once-every-10-years lower back spasm. I tracked when I took pain meds with it. I also track significant events in my day so that I can jog my memory to them later on. You could use it as a journal is meant to be used, pouring out your heart for only yourself to read. While that might be hard on a phone, there is a website for the one I started using—although, as I said--not all the entries I made on the phone are showing up in the web version. My mother made notes on a monthly calendar not only of appointments but significant events. She kept those calendars for years. They helped years later when we had to track certain events. You could also keep a note titled “Journal for Jan. 2016” on Google Keep and add to it every day. At least I know it syncs well. And then start a new note for each month. Keep is one of my use-every-day apps. It is my grocery list and jot pad for information I will likely move to another app later on. It is totally free and works with your Google account. I cannot recommend it more highly. My other everyday use app is of course Evernote. I’ve written ad nauseam about my online file cabinet. It now has over 25,000 notes in it. Anything I see I think I should keep a copy of, like receipts or web pages I may want to see again, I capture to Evernote. Again, it is free for a basic level of service, and affordable for the premium level. Another new app from Google could be a godsend for worrying parents. It is called Trusted Contacts and is now only for Android but soon for iPhone too. If Dad and child both have it installed for example, and have accepted each other as a trusted contact, Dad can ping the child through the app with “Where are you?” The child can choose to decline to give the information or let the app provide it. If the child does not respond for five minutes, the app automatically sends Dad the location. One person can also proactively send their location if they feel they are in a dangerous place. This app is not unlike ones some college campuses are using to help students be safe on those late-night walks across campus. If you have a loved one at college, ask them if their school has one and if they use it. Looking for a way to cut down on your Google Play expenditures? Download Google’s App Google Opinions Rewards. Every couple of days it will pop up with a short survey. Generally they ask if you’ve been in a certain business recently and what you thought of them. In exchange they pay you anywhere from 10 to 45 cents. Sometimes zero, but that is rare. Don’t lie to them. Sometimes the business they ask about is non-existent; the question is to test your reliability. And too, if you have location services turned on, they know where you’ve been. It's not for those who covet their privacy, but for those of us knowing the amount of data already collected about us. At least it lets us get some monetary value for sharing information. I’ve made almost $60 and used some to buy apps and rent streamable movies. Stop now and think about how you might like to better organize your life in 2017, and how that powerful computer in your pocket might help. This column will appear on this website December 30, 2016 at 9 AM. It’s tough ending a 22-year relationship. Trust was broken not once, but at least twice. And while ultimately confessions were made, it was not until years later -- after it was too late to repair the damage. Thankfully I had ultimately moved on to something younger and flashier. I’m talking about Yahoo. In September they confessed they had been hacked, and half a billion accounts were exposed. If that wasn’t bad enough, they confessed the penetration had occurred two years earlier in 2014. And then just last week, they announced a possible one billion more accounts had been violated. Worse, that penetration had occurred in 2013 and Yahoo didn’t find out until the U.S. government found out and let them know last month. From both hacks, hackers stole names, birthdates, phone numbers and even passwords that were encrypted with a weak encryption technique. Are you one of the one billion monthly users of Yahoo? I am. I started using Yahoo soon after they began in 1994. The web was smaller then. If you created a web site, you submitted the link to Yahoo. There, actual humans looked at your site and categorized it into Yahoo’s index. Of course the web grew astonishingly fast, so that human indexing method failed to scale with the net. Soon little bits of code were crawling the net doing the indexing first, with companies like Alta Vista and ultimately today’s behemoth, Google. Yahoo moved to web crawling in 2000. In 1997 Yahoo began offering Yahoo Mail, a free webmail service. For many years it was my primary email account. Even when I began using Gmail from Google, I kept Yahoo Mail. Many of my utility companies were still tied to that since that was the email I was using when we bought our home. So what do we Yahoo users do now? The first inclination is to close our Yahoo accounts and walk away. That would actually be a mistake. If you close your Yahoo Mail account your username will ultimately be recycled and used by another user. In fact, the hackers may watch for them to be freed up so they can register them. That way any future emails to that account from someone who does not know you are no longer using it, will go instead to the hacker and give them information. Instead, change your password to a hard to remember password. Replace that “funguy3” password with something like “djfdkf893jd%%2ss-g8uqd.” You won’t be accessing Yahoo much anymore, so put that password somewhere safe where you can paste it into Yahoo in the future. Or better yet, begin using a password vault application. If you are not a LastPass user, or other respected password vault application, this is a good time to begin. Next, keep an eye on your credit report. Hackers can use information they glean from the hack to create new credit accounts. Did you use the Yahoo password on any other account? Most of us re-use passwords on many different sites. Change those passwords now. Another thing hackers got was answers to your secret questions. They may now know your mother’s maiden name, the name of your first-grade teacher, the name of your first pet, etc. They can use that information to get the password for your other accounts and, worse, change the passwords so you cannot get in. The best practice with those secret questions is to lie. Make your first grade teacher “peanut butter,” your first pet’s name “psychedelic.” Write down those responses somewhere and never answer the same question the same way on any account. For best security and to incentivize other companies to spend time and money on security, open another email account elsewhere. If Yahoo’s traffic plummets, other companies will understand it is important to prioritize security. Also, the Yahoo email account now has negative panache. Using it will have people believing your technical skills are less than they are. On this week’s Link post are some steps to take to download your email and photos you have on Yahoo’s photo site Flickr. Get your information off Yahoo, harden your password, get a new email account, let anyone who has the Yahoo address know your new email address. Finally, periodically monitor Yahoo for new messages. This column will appear on this website December 24, 2016 at 9 AM. High tech home medical technology used to be a thermometer. If you were lucky, it was oral. Today, a lot of technology you would only find in a doctor’s office or hospital has come home. And what you find in the hospital today is truly futuristic. At the hospital, we have robot surgical knives like the Davinci machine that can hold a scalpel rock steady. A few inches movement of the controller by the surgeon might move the scalpel a millimeter. A tiny camera inserted into the incision along with the scalpel gives the surgeon a view he could not get without opening up a much larger incision. This minimally invasive surgery allows faster recovery and safer surgery. What’s even more amazing is the controller unit and the patient do not have to be in the same room. Theoretically, this could allow a surgeon in New York to operate on a patient in Bangladesh, or on the Space Station. Even more futuristic is IBM’s Watson. Readers may remember Watson as IBM’s supercomputer that triumphed against “Jeopardy” champions. They are now training it to aid in medical diagnosis. By feeding in massive numbers of x-rays, MRI’s, cat scans and other patient data, it is hoped Watson will learn to recognize patterns indicating disease and growths human doctors might miss. The same artificial intelligence that lets Google Photos recognize dogs in our photos and lets us search for them, could let Watson find tumors and other abnormalities. A San Francisco startup, Enlitic Inc., claims its software in a test identified malignant tumors 50 percent more accurately than a panel of four radiologists. Your doctor might have you swallow a large pill that is in fact a camera and transmitter. A small unit you wear on your body receives and records the information for your doctor to examine. At home we have our own wonders. Diabetics have blood testing units. There are home blood pressure cuffs that have digital readouts and Bluetooth connectivity to log readings to your phone. Pulse oximeters that monitor blood oxygen saturation help those with breathing difficulties control their breathing. If you have someone with heart issues, for $1,200 you could have your own automatic defibrillator. I learned in my last CPR course that home CPR is just to keep the blood flowing until a defibrillator can restore normal heart rhythm. This can be done sooner and before the paramedics arrive with a home unit that is fully automated. For those with other issues, there are even home breathalyzers. Now that the baby boomers are well into their senior years — I’m on the trailing edge of boomers, so I can make this comment — home monitoring systems let our kids know we are doing OK while we remain in our own homes. These systems are devices that have an emergency help button they wear as a watch or pendant. When they press the help button, it sends a signal to a receiver in the home hooked to the phone landline. It can summon help and does not have a monthly service fee. There is a pill dispensing unit that connects to the Internet via Wi-fi. It allows family members to make sure remotely that medication is being taken and taken on time. Smart inhalers record when and how much inhalant a patient uses. The future promises even more. Implants in the body could dispense drugs as needed, instead of at timed intervals. Disney’s high research arm--yes, that Disney--is working on software that will let dentists build clinically useful impressions from photographs of your teeth. Silly Putty, with a little graphene mixed in, has been found to be an amazingly sensitive movement sensor with many medical applications. In the near future, sensors in your clothing could communicate to your phone and ultimately to your doctor critical vital signs as you work and exercise. If someone needs emergency medical treatment far from where ambulances can go, drones may delivery medical equipment that amateurs can use via built-in communications to doctors and treat the patients until professional help arrives. And several firms are looking at man-sized flying drones that would fly out and let an injured person be placed aboard and flown to the hospital without the cost of a crew. And the old thermometer is of course gone from the scene. Swipe a forehead now and you’ve got a temperature. Or stick it in an ear. They are fast and non-intrusive these days. This column will appear on this website December 17, 2016 at 9 AM. Fake news has been all over the news recently. Let’s call it what it really is: propaganda. Why are we talking about this in a column about technology for families? Anyone online is inundated with information. Before the internet, there were certain filters in place when we got our information from newspapers, magazines, books and broadcasting. It was expensive to print and distribute or to broadcast. The publishers and broadcasters had limits of how much content they could put out, so they were discriminating in their selection. And they had to reach a large audience to be economically viable, so they could not alienate a large portion of their audience by being unfair. I do not mean to suggest propaganda techniques were not used, just that there were some filters in place. Today there are none. Anyone can publish to the net for only the cost of an internet connection. The only filter between publisher and audience is what the individual audience member provides for himself. I learned about propaganda techniques in school, and I went looking through the Virginia Standards of Learning to find out our schools still teach about them -- albeit in the seventh grade. That may be too late. 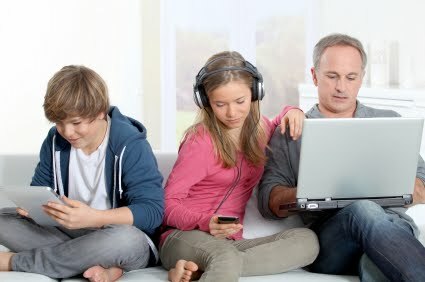 Media consumption habits may already be well-formed by then, considering how much information even children are exposed to online. As parents, we need to teach our children critical thinking at a young age. Have them learn to question what they read, see and hear. And also have them watch for propaganda techniques in their personal interactions. When you see an example of name calling in an ad or speech, ask your child why the message needs to call someone a name. What are they hoping to gain? When a testimonial is used, ask why we should forgo our own decision making and simply accept the opinion of others. Are Beats by Dr. Dre really better headphones simply because we like his music? Or should we try listening through them and other headphones to see what we think sounds better? If the spokesmodel is beautiful, should we lend more credence? Is the attractive classmate's opinions more valid than the unattractive ones? Show them how to recognize appeals to their fears and prejudices when someone is pushing a concept. Discuss how some will attack not the idea a person is putting forth, but the person. Why are they not attacking the idea in those cases? Point out scapegoating — blaming a group of people as the sole cause of a larger, complex problem. And stereotyping — assigning a weakness to an entire group of people. Ask them if they have ever been stereotyped. Is it fair to be stereotyped? Talk about fact checking. Does the speaker cite specific supports for the views? Teach them to know the difference between “experts agree” to “scientists at MIT have research that supports…” Show them fact checking sites and encourage them to check sites before passing along information they see online. Let them know that the value of Wikipedia is not just the statements and opinions in the articles but the citations to the articles that may lead them to more valid sources of information. Talk about filter bubbles. Now that we can seek information ourselves online, instead of it coming to us in newspapers and TV news, it is easy to want to seek out only that news that supports our beliefs. Teach your children the value of challenging their own beliefs; and considering the opinions of others. Discuss how easy it is to build an online world where they live in a bubble with other people who share their beliefs without ever experiencing the beliefs of others, or even facts that challenge their own beliefs. Help them to consider the source. Does the source provide only one point of view? Does it always criticize the same side, and always compliment the other side? Can one side do no wrong, and the other side do no right? Teach them the difference between an unsupported meme and one with citations in the meme itself. Teach them to validate the citation before sharing the meme. Stress the difference between facts and opinions. Teach them to value both and that opinions do not negate facts. Remind them that sharing faulty information makes their opinion less valued among the very friends they are trying to impress. We need our children to be good consumers of information, fair purveyors themselves of information and most of all, educated and thoughtful citizens. This column will appear on this website December 10, 2016 at 9 AM. Last time we talked about gifts for adults. What about younger people fascinated with technology? What gifts can nurture an interest or spark an interest in science, technology, engineering and mathematics, STEM? Or best of all, show off the wonder of the world? I’ll champion high tech gifts in a bit, but for showing off the wonders of the universe there is no better gift than a telescope. You can find entry-level telescopes starting at about $40. I still recall my first view of the moon through a telescope as a life-shaping event. So much of what I had learned in school became much clearer. Today, you can use a phone app to help point your telescope at planets and other celestial bodies. Looking the other direction at the universe of life --in a drop of water-- is even easier today. There are microscopes that hook into a PC and let you manipulate them through software, as well as capture images. Of course, links for these, and all the items we are going to talk about here are in this week’s Link Post at FamilyTechOnline.com. For younger kids, there is the Code a Pillar, from Fisher-Price. It is a toy caterpillar. Kids build it by attaching its segments in different orders. For example, if the first segment is go forward, then the second is turn to the left, and the next is go forward, the caterpillar will move forward, turn and then move some more. By playing, kids are learning the fundamentals of programming. For the Star Wars fans, there is Sphero’s BB8 robot. Controlled from the phone, you can control your own piece of the Star Wars universe. Doll houses have gone high tech with Barbi’s Hello Dream House. Children control it with over 100 voice commands to make the lights work, decorate for Christmas and even have the stairs turn into a slide. The coolest technology gift I found this year is the Piper Computer Kit. It lets a person build a computer case and install a Raspberry Pi 3 computer along with sensors and peripherals. When it is complete, they can play Minecraft on it. If you are the parent of an elementary or middle schooler, you are probably well acquainted with Minecraft, a kind of digital Legos. It is both a game and an environment where things can be built. There are additional instructions for builders to create a multitude of Minecraft-oriented projects. There are also less expensive Raspberry Pi kits that let anyone build custom computers in various configurations. This harkens to the late 1970s when experimenters built their own computers in the days before Apple, Atari and the TRS-80. Once they have assembled their computer, they can program with various free tools. There is even a Minecraft for Raspberry Pi and serious programming languages. For Minecraft fans using regular PCs, there is an excellent entry-level programming language that makes use of the Minecraft environment. A fun thing for aspiring filmmakers is the Stikbot Studio. Stikbots are little robotic-looking characters you can pose. The Studio includes a tripod for a smartphone and a greenscreen stage. Filmmakers can pose the characters in front of the greenscreen. A phone app lets them take an image and then after the kids change the Stikbot’s pose a bit, take another image. It combines the images into a movie, with the background green-screened in. Kids can do still-frame animation videos--the kind parents know from the old Gumby series on television. I’ll put some sample videos in the link post. Note: See some Stikbot videos in the post below this one. And there is Google Cardboard. For just $15 and your smartphone, a child can get their first taste of virtual reality. And if your child loves video games, you know how expensive that can get on the PC. Steam is an online service where kids can play some games for free, but also buy the latest games and download them to their PC. They frequently run sales. And you can buy Steam gift certificates to control their spending. There are no monthly fees. And let's not forget the old-fashioned building sets like Legos, K’Nex, Fiddlesticks and Lincoln Logs — now again made of wood. There are still old-fashioned geology and chemistry sets, as well as magic sets, robot arms you can build, rocketry, drones and all sorts of activities to nurture new interests or build on existing ones. This column will appear on this website December 2, 2016 at 9 AM. I think this one was made by a younger person. Talented amateur at least.